The fragrances elicit feelings of joy, confidence, and a sense of well-being. It uplifts the mood and turns the atmosphere pleasant. The association of fragrance and emotion is existent since the centuries, probably from the evolution of mankind. And it continues to play a beneficial and purposeful role in our lives. Aroma is truly a gift to senses! Not only at homes, even a work place can too benefit from the magic of fragrances. According to recent studies, periodic administration of pleasant fragrances during a sustained attention task improves work performance. - Fragrances make clothes smell "clean," cosmetics "pretty," and households "well kept." - The pleasant fragrances may heighten the senses and also enhance the learning process. 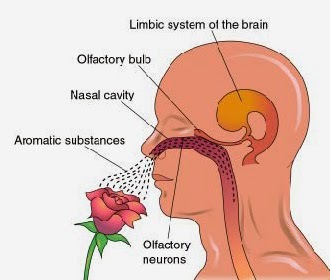 - The sense of smell is directly connected to the limbic system of the brain and this is the same region where emotions and memories are stored. Fragrances, therefore, contribute to the feelings of happiness, relaxation or even sensuality and stimulation. - Research shows that there is a connection between fragrance and cleanliness. Majority of households that smells good are clean too. - Many experts believe that there is a correlation between the fragrance and health. Since, fragrances have a positive effects on our mood, therefore, it may help in alleviating the negative effects of diseases which are connected to stress and anxiety.